You are on your way home from a house party, when all of a sudden, you notice the flashing blue lights on your rearview mirror and you realize that you are being asked to pull over. At that moment, you realize that you have had a couple of drinks. Panic starts to set in. What should you do? What should you say? Will you be convicted of drunk driving? Getting behind the wheel when you have been drinking is a horrible decision. One must never drink and drive since this is the number one cause of car accidents. In addition, driving under the influence can lead to a conviction which means that you might spend some time in jail and pay hefty fines. If you have been asked to pull over for suspicion of DUI, here are a few tips that can help lower the risk of suffering a conviction. Once you notice the blue lights and blaring siren, you must pull over to a safe location. Remember to use your turn signal to show where you are heading and slow down as you pull over. As a tip, you must try to pull over as far to the right as possible. This way, the traffic enforcer won’t have to worry about causing traffic in the right lane. When you are stopped by a traffic enforcer, it is crucial to keep calm. Although this is easier said than done, but you need to keep in mind that the more relax you seem, the more the officer won’t suspect that anything is amiss. In addition, you will be able to think more clearly when you are not in a panic. This will put you in an advantage since you will be able to remember what you need to do. No matter how pissed off you are for being pulled over, you need to be nice and cooperative. Remember that being rude will only guarantee your conviction. If you are nice to him and cooperate with him, he might even write a good police report which will help your case. This test is also called FST. This test is a test of balance and coordination which is used by officers to determine if a person is drunk. You need to know that you have the right to refuse this test as well as the breath test that is usually administered by the officer that can read your blood alcohol content. 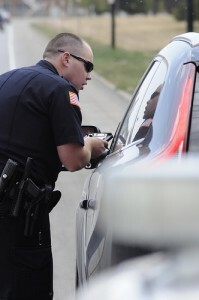 If the officer asks to see your driver’s license and registration, you need to comply. It is also important to answer his questions regarding your personal information, such as name and date of birth. But if the police start to ask questions that are DUI related, such as when and what drink you had consumed, do not answer these questions. What you can do instead is to politely tell him that you have been advised not to answer any of these questions and you would want to exercise your right to remain silent. Keep in mind that any information you provide the officer may be used against you. Lastly, it is also important to contact a skilled criminal defense lawyer who specializes in DUI cases. 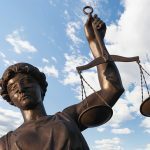 You need to know that the legal ramifications of a DUI conviction can be life changing; thus, you need to have someone who knows how to handle the legal procedures involving this traffic offense. Kris Bennette is a blogger who offers driving tips and advice. She recommends her readers to consult with a reputable lawyer at Livesay & Myers if they find themselves facing DUI charges.